Today, you’ll find Nick Griffiths balancing his contracting career in engineering design with a flourishing property business. Here’s how Nick uses inniAccounts to ensure his businesses are easy to manage and the numbers are always taken care of – so he can focus on the important things. When Nick first started contracting, he knew that he needed a supportive accountant that offered a personal level of care. He’d first stumbled across inniAccounts, during his initial research, when he downloaded our Becoming a Successful Contractor or Consultant eBook. Flash forward 18 months, and Nick was ready to leave permanent work behind and take the leap. He remembered that he’d read our book and that we seemed to know what we’re talking about (we certainly like to think so!) and took a closer look at our services. 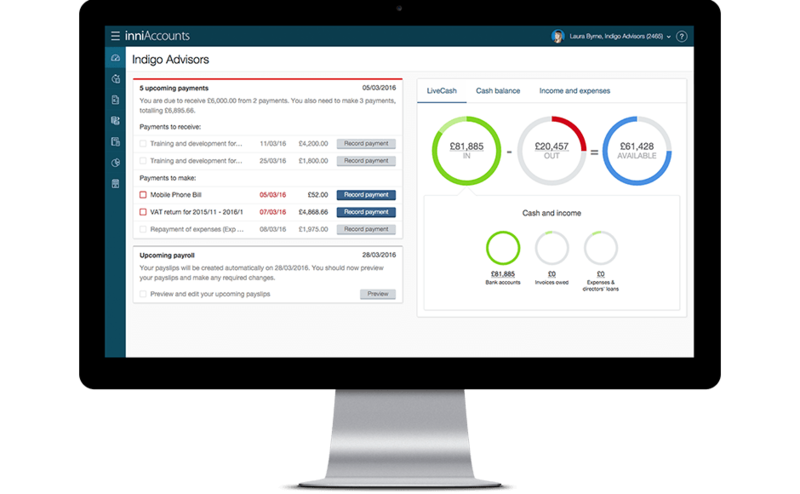 Nick’s favourite feature is our award-winning LiveCash, where he can see a real-time view of his cashflow. ‘Many of my friends still use spreadsheets with their accountants,’ he says. ‘It’s like looking into a magic eight ball to see how much money they’ve got available. Whereas I can see how much I’ve got available anytime.’ Nick can break his cash down into expenses, taxes, dividends, salary etc and see exactly what’s going out, what’s coming in and how much cash he has available at any time. This enables him to confidently make decisions. Nick’s story reflects what we’ve always believed: that by providing an intuitive service that makes managing your accounts effortless and going above and beyond to ensure our customer’s needs are always at the centre of what we do – our service is something unique. By easing the administrative burden, we help our customers to focus on what’s important; building their business and thriving. inniAccounts puts Nick in control, ensuring he’s confident that every part of his two businesses can all be managed in one place, with our team of experts always ready to answer any queries.